Abby looked so serious sitting by our table, that I couldn’t resist taking her picture. Yes, Abby had a nice helping of our food and she inhaled it. Because most of Abby’s diet is made up of human food, there was not danger of her getting an upset stomach. 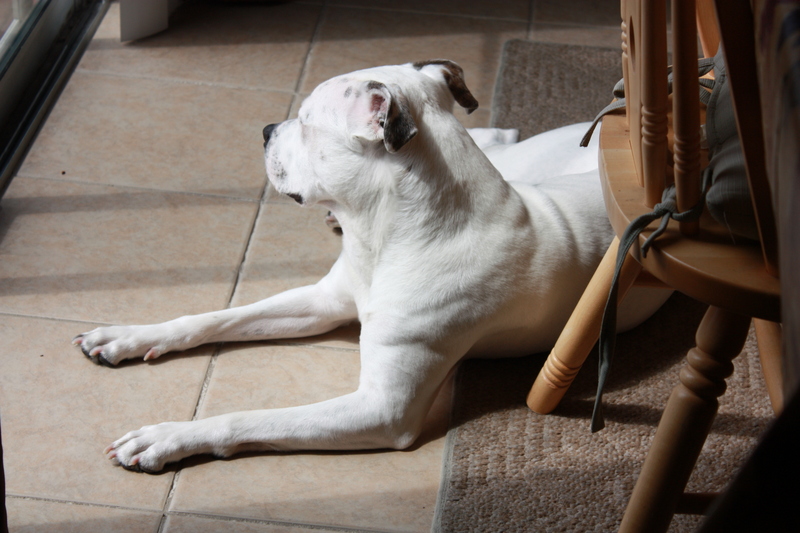 Happy Thanksgiving to all of you, your furry kids, and family! Because the weather is so nice today here in Odenton, MD, we took a nice walk and once I cleaned them up, each furry kid took a spot to hang out and/or fall asleep. Bella is the youngest one, 3 years old, therefore she was relaxing by the sliding doors and found herself in the arms of Morpheus within minutes. 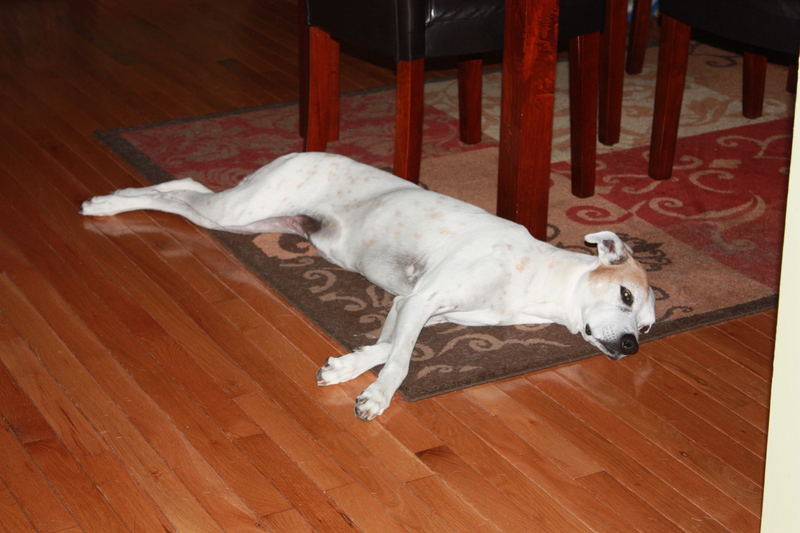 Alex, on the other hand, decided that the dining room was a better spot to relax after our walk. By the way, she still uses her brace during our walks, but not at home. 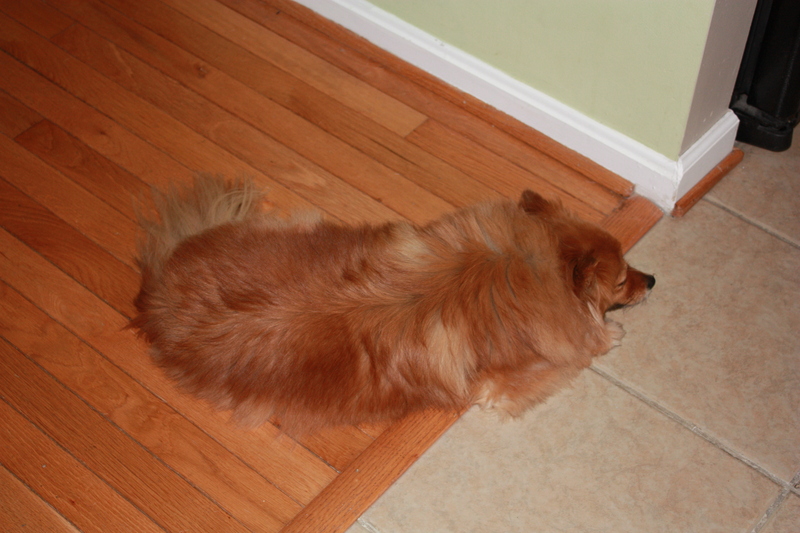 Roxy, a beautiful pom, kind of blends with my wood floors, don’t you think? While they were all recuperating from our walk, I stayed in the kitchen putting away dishes, freezing food I cooked for Alex and Bella recently, and taking pictures of them while they were asleep. What a nice way to start this weekend.